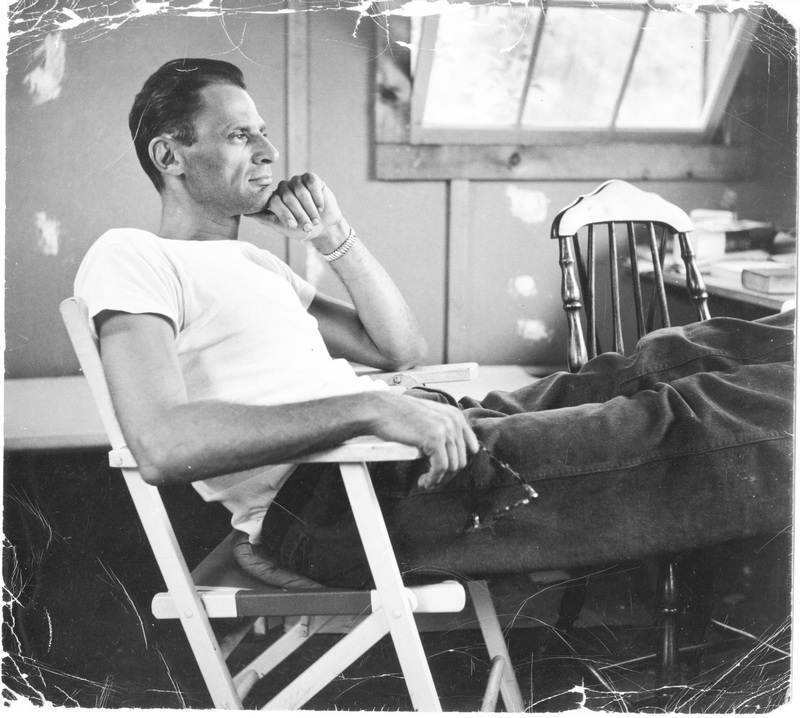 The documentary “Arthur Miller: Writer” (debuting March 19 on HBO) takes its title from an interview with the late American playwright in which he offers these words as his ideal epitaph—nothing more, nothing less. But the title of this tender if incomplete portrait by filmmaker Rebecca Miller, the writer’s daughter, ought to be “Arthur Miller: Father.” In the vein of the recent hagiographic Joan Didion documentary, “The Center Will Not Hold,” made by her nephew, Griffin Dunne, Rebecca Miller’s film is explicitly personal, a mix of home movies, interviews and a smattering of archival footage, with narration by Ms. Miller herself. Those seeking a deep dive into the playwright’s work or creative process should look elsewhere. But those curious about the personal forces that shaped Arthur Miller, and about how he imperfectly reconciled his ambitions with his domestic and emotional life, may reckon with the uncomfortable feeling that the man who created Willy Loman, the faded dreamer of his iconic 1949 play, “Death of a Salesman,” lived out a happier, more self-aware version of that needy, optimistic character’s pathetic twilight. He retreated to the comfort of his family hearth, leaned on the support of a strong wife and continued to idealistically ply his trade to the end—even as the professional world that once elevated and honored him increasingly rejected or dismissed him, and he began to doubt the value of his efforts and, by implication, his manhood. Rebecca Miller has made a film that pays complicated tribute to a complex man. The pattern of seeking love and support from strong women continued into his first marriage, to Mary Slattery, with whom he had two children, Robert and Jane, and at whose side he first made his way as a writer with a failed play, a novel, and then the triumphs “All My Sons” and “Death of a Salesman.” His final marriage, to the vigorous, peppery Morath, seems to have been a happy and steady one. “There’s no explaining a person like that,” Miller says of Marilyn Monroe. A View from the Edge: You can’t turn away from Ivo van Hove’s vision. Indeed, Mr. Miller’s Jewishness is mostly brushed past here, as it was through most of his life; as he puts it, he inherited from his father “the attitude of being an American more than a Jew.” At one point Ms. Miller asks him to consider his work’s resonance with the Kabbalah, to which he responds, “I think it’s more that the process of approaching the unwritten, unspoken, the unspeakable—the closer you get to that, the more life the work has.” This is the voice of a man who was ever pragmatic in the face of mystery, who famously could not complete “Salesman” until he had built, with his own hands, the small cabin in which he would write it. This points to a final contradiction of Miller’s life, and a very American one. If a key insight of his work is that we are shaped by impersonal social and economic forces as much as by our own will or self-determination, he clearly didn’t get the memo himself. Near the end of his life, he talks about his daily writing practice, in a bucolic homestead he has forged deep in the woods of Roxbury, Conn. He says of the challenges and setbacks he’s faced, “I never blame other people, because it’s not true.” Individual agency or collective responsibility? Much of our politics is built upon that beam-splitting dichotomy. So is our drama. I just re-read "Salesman" after the first time 40 years ago. I was under the impression - probably because of what my teacher explained - that the play was about how we go into life with high expectations, but a mean, capitalistic culture can end up destroying our dreams. On the second read, I saw Willie as a dreamer who really never made the effort to learn a trade but relied on people liking him as his means to becoming successful. Biff, the anti-Math, failure who squandered a sports scholarship was taking the same doomed path. So maybe in "Salesman" Arthur Miller did not reveal a contradiction between his stories and how he lived his life. Mr. Miller succeeded through learning a valuable skill and working hard, while Willie Loman wallowed in the failure of his own making.